As you become a better player you start to get paired with other strong players. It’s not so easy to beat these guys, they know most of the tricks you do. Games can easily reach even positions where it’s hard to create winning chances. One technique stands out in these situations: the positional sacrifice. 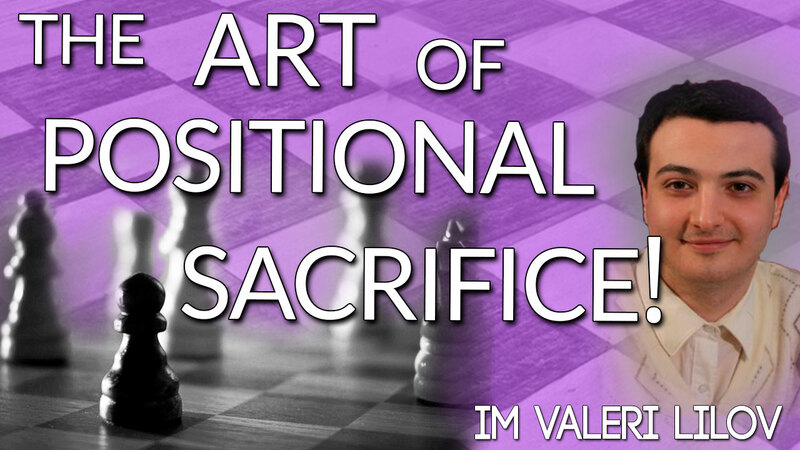 This Saturday, I am is going to teach you the art of the positional sacrifice: how to give up material to create imbalances and find ways to win. This is the tool for getting full points against tough players. • How you can use your minor pieces as bait to create an unstoppable pawn phalanx that just steamrolls through your opponent’s defense. • Kasparov’s favorite theme: the pawn sacrifice to open lines against weak spots. An essential idea for attacking players. • Why you should always consider not retreating an attacked piece and, instead, see if you can use the tempo to create threats of your own. • Ways to knock down your opponent’s defensive pawn wall with well-timed sacrifices. This webinar will give you a ton of ideas for playing more creatively, upsetting the balance and keeping the game going when your opponent is trying to stonewall you and steal half a point. The awareness and ability to play a positional sacrifice is one of the hallmarks of a strong player. All masters do it regularly and you’ll be able to too after this free training.